Cassowaries are in decline in Australia mainly due to human activities. We can all do our bit to help protect these magnificant animals by being CASS-O-WARY! Cassowaries are most active in the early morning and late afternoons, but may be encountered at any time of day. Vehicles are the single biggest cause of cassowary mortality in some areas. When driving through cassowary habitat, particularly around Mission Beach, Bramston Beach, Coquette Point, Etty Bay, Paluma, and Cape Tribulation, please drive with care and BE CASS-O-WARY! Along some regional roads where cassowary crossings are more frequent, speed limits have been reduced and road treatments (e.g. speed humps or cautionary signage) have been introduced. Such measures are only effective if drivers take notice and modify their driving accordingly. 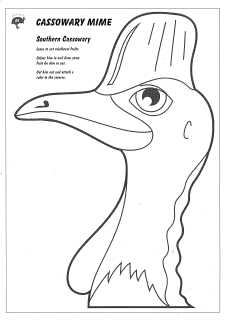 Watch out for cassowary warnings signs along roads, and slow down where visibility is limited (e.g. around corners and approaching crests), particularly near watercourses and where vegetation grows close to the sides of the road. Help spread the message among your friends and neighbours by encouraging them to slow down and display a cass-o-wary bumper sticker on your car. These are produced by WTMA and can be acquired for a small donation from C4, Tully Veterinary Surgery and some visitor centres in the Wet Tropics. This encourages them to remain in urban areas where they are more vulnerable to vehicles and dog attacks. If they get used to being fed, individuals may become aggressive, and it is difficult to convince cassowaries to stay away from people once they associate humans with food. Unfortunately a fed bird is often a dead bird unless it can be relocated to an area away from humans, which can be a stressful process for everyone involved. People who feed cassowaries often have good intentions, particularly after cyclones when they know cassowaries are likely to be hungry and searching for food, but it often does more harm than good. If you notice other people feeding cassowaries warn them about the potential dangers to themselves and the birds, and let them know they are breaking the law. 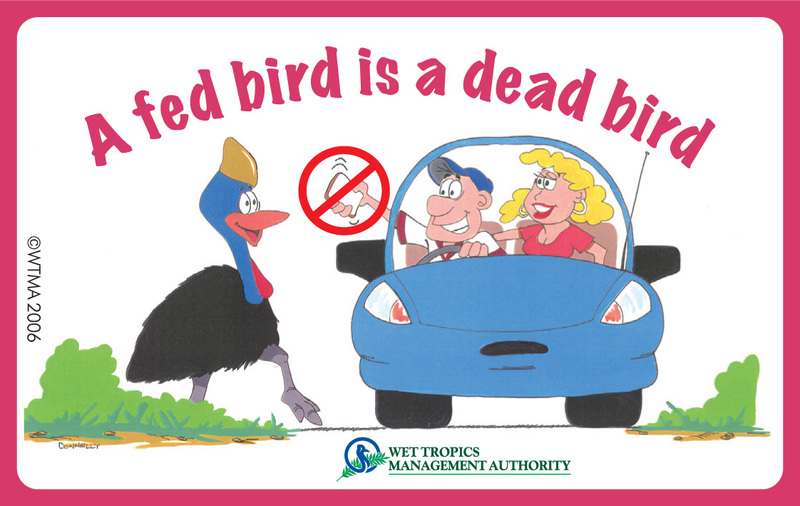 It is illegal to feed cassowaries (and other native wildlife in Queensland) without a permit. You can report offenders by email to cassowary.sighting@ehp.qld.gov.au. Remember to include as much information about the circumstances as possible. Cassowaries and dogs are a lethal combination. Both adults and chicks are vulnerable. At least 6 cassowaries are known to have been killed by dogs in the year following Cyclone Larry. The last known cassowary on Mt Whitfield near Cairns was also killed by dogs. Dogs that have been trained to hunt pigs can be a real threat to cassowaries, particularly chicks and juveniles, if not properly managed. All dogs kept as pets in Queensland must be registered with your local council. 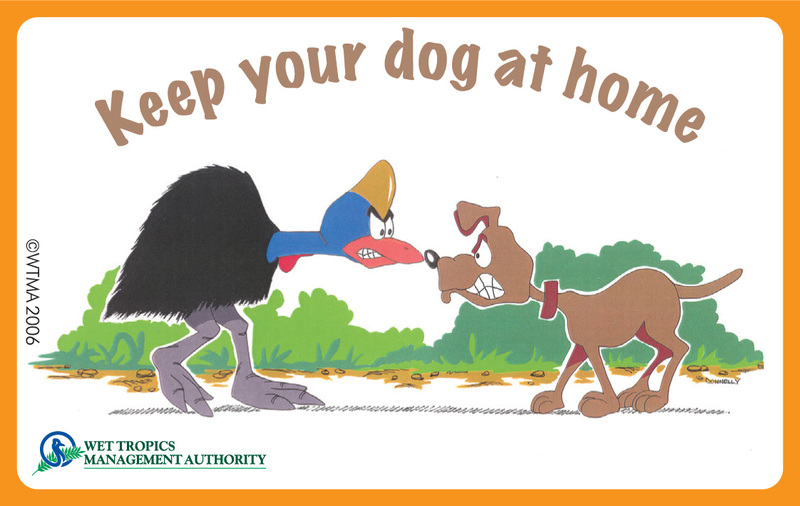 If you live in cassowary habitat, please keep your dog secure at home and use a leash when walking. Encourage your neighbours to do the same, particularly if they have pig dogs. This is particularly important after cyclones, when fences may be down, and dogs might be running loose. If you’ve lost or found a dog, or have neighbours whose dogs are not properly controlled, call your local council to report it. 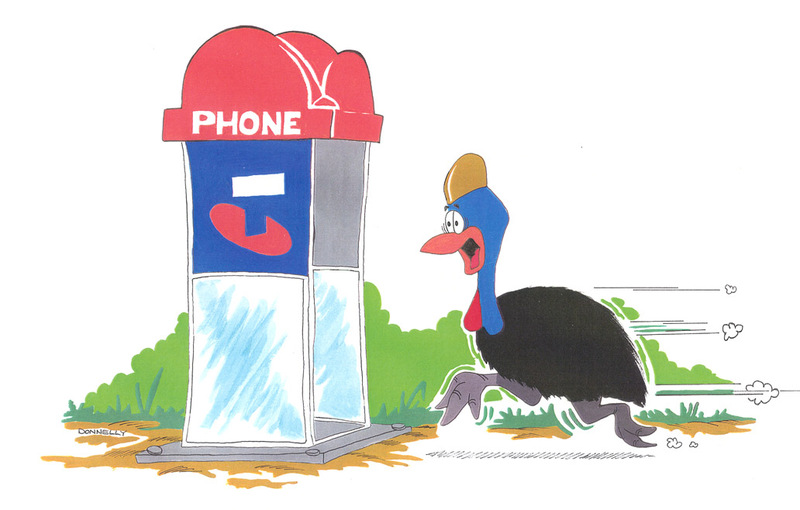 If you’ve seen a cassowary being harassed or injured by a dog, if assistance is required please report it by phone to the 24hr hotline: 1300 130 372. If assistance is not required please email cassowary.sighting@derm.qld.gov.au with as many details about the incident as possible. 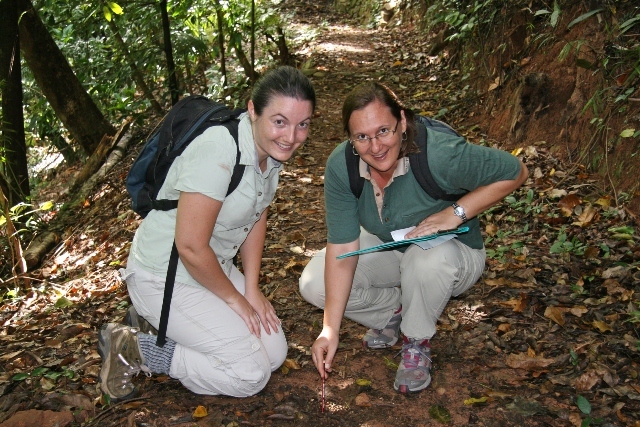 The more information we have about where cassowaries are in the landscape at different times, the better we will be able to understand their behaviour and movements. Please report all sightings of cassowaries. Many conservation groups in North Queensland (and beyond) raise funds to support cassowary habitat conservation and restoration, and for cassowary care and rehabilitation (e.g. supplementary feeding programs post cyclone), and extra cash is always appreciated. “In the end we will conserve only what we love. We will love only what we understand. We will understand only what we are taught.” – Baba Dioum. Cassowaries are fascinating and charismatic creatures, whose inter-dependence with the rainforest, and cultural connections to indigenous people of the region, make them a wonderful means for learning more about the Wet Tropics of Queensland and what makes it so special. Why not help others learn about these wonderful birds too? Click here to discover some of the wonderful education and information resources available. Local vets and wildlife carers throughout North Queensland do a wonderful job helping to care for and rehabilitate injured wildlife of every description – cassowaries, wallabies, possums, birds, frogs, etc – and are often short of spare change and willing hands.